Product prices and availability are accurate as of 2019-04-14 02:35:58 BST and are subject to change. Any price and availability information displayed on http://www.amazon.co.uk/ at the time of purchase will apply to the purchase of this product. This was distilled at the Isle of Jura distillery in 1997 before a maturation in refill sherry hogsheads. 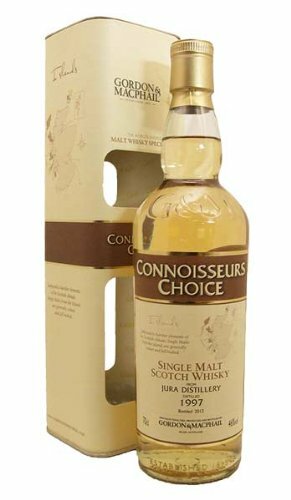 This is a light, buttery whisky from Gordon and MacPhail's Connoisseurs Choice range. This comes at 46%ABV - higher than previous bottlings in the range.